The spirit of the season is fully underway in the Metro Washington DC area, something that was clearly evident at the recent Fire & Ice festival held at Downtown Crown in Gaithersburg on December 10th, 2017. 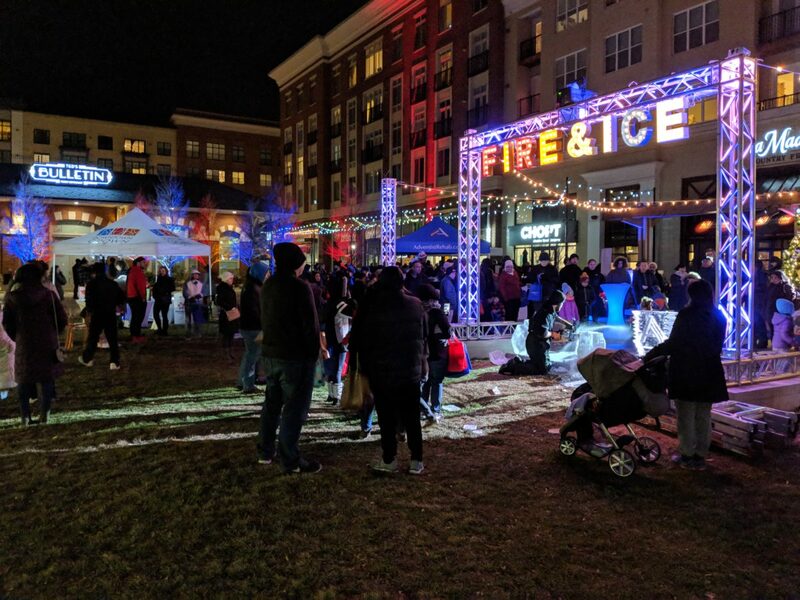 Community members gathered for a celebration of all things winter (with hot chocolate in hand, of course!) Key highlights included a demonstration by an ice sculptor and live holiday music, complete with roasted marshmallows by the fire. 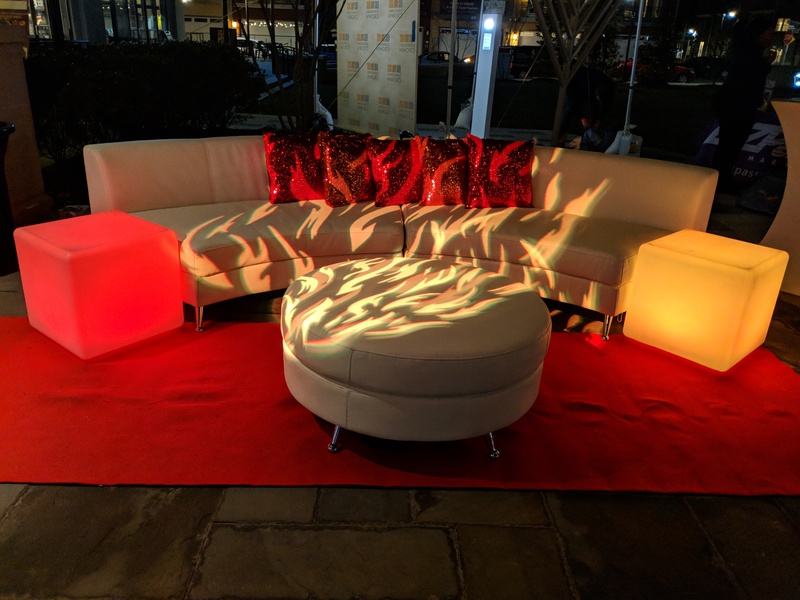 Electric Events was excited to be on hand to work with design company Something Fabulous to host the seasonal affair. 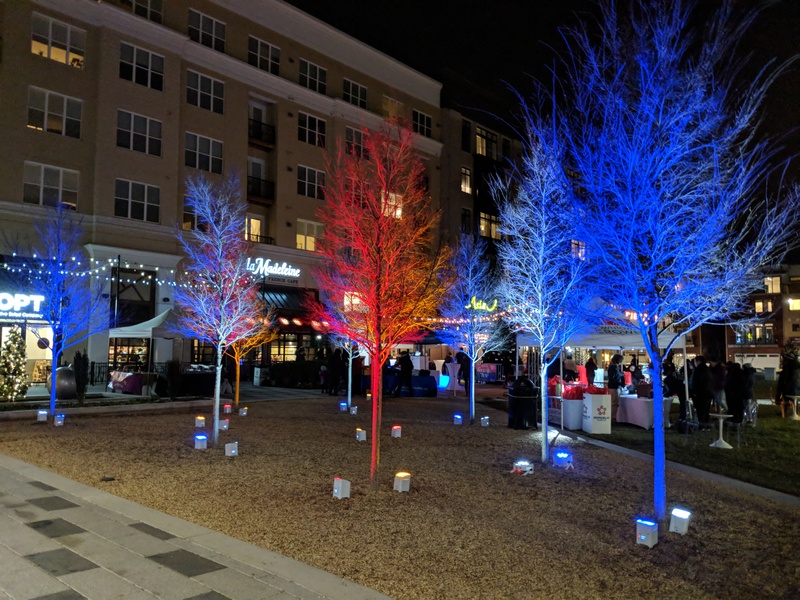 Our team provided rental furniture as well as lighting services including uplighting trees, building and truss. 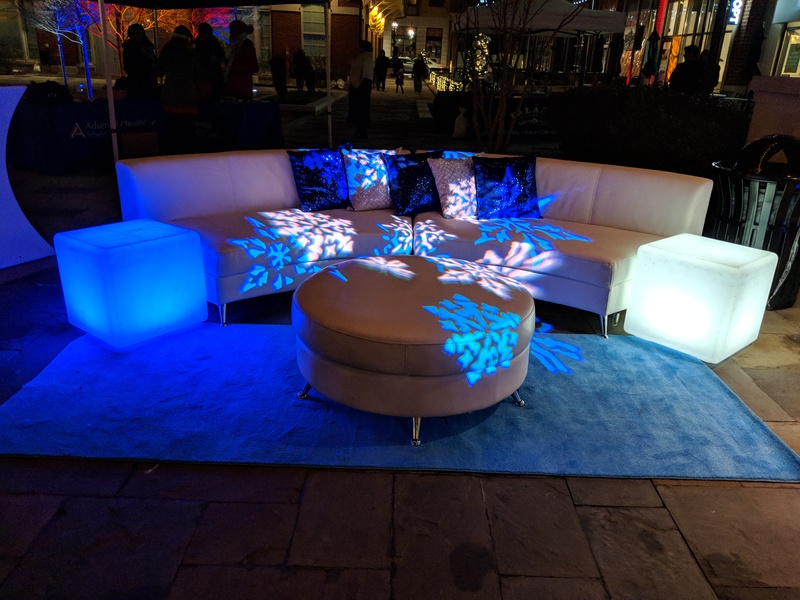 We provided lighting for the ice sculpture, and bistro lighting. We also provided a snow machine.